Metro is creating an Office of Extraordinary Innovation (OEI) to champion new ideas for improving mobility throughout Los Angeles County, while helping Metro set an innovative and fiscally responsible course for the future. process that will include input from the Metro Board of Directors, employees, stakeholders and local and national partners that will help set the strategic direction of the agency for the next decade or more. The office also will evaluate and improve procurement practices to open the doors for creative and unique partnering arrangements, such as public-private partnerships. It will consider unsolicited proposals to determine technical or financial merit. It is anticipated that the group will create a type of regularly scheduled academic, community and veteran transportation professional roundtable to study and address the most pressing and cutting-edge Metro and national transportation and mobility challenges and issues. •Supporting Metro departments in piloting new and experimental programs and policy. •Serving as the primary liaison for new ideas relevant to Metro and the transportation industry coming from entrepreneurs, established private sector entities, academia or individual citizens. OEI will report directly to Metro CEO Phil Washington. Staff will be drawn from every corner of the world and may be augmented by student researchers and/or fellows. Not quite the League of Extraordinary Gentlemen…. Somehow I’m skeptical that by “every corner of the world” what they really mean is cherry picking from US, Canada, and Europe and call that an “international team” in order to fit their preconceived white-way-of-doing things, but with nary any representation or input from Asia. I hope I’m wrong, but you know how it is with these things. It’s about time Metro started listening to academics, researchers, and professors who are experts in this field who have published numerous papers and studies for decades regarding mass transit and how they can be run effectively instead of relying solely on political games and emotionally based arguments that are backed by nothing. And as stated above, by the word “world,” the world of mass transit shouldn’t be just taken from examples in other cities in the US, Canada or Europe. People need to be more accepting and learn how places like Seoul, Taipei, Tokyo, Hong Kong, and Singapore are able to run transit efficiently that many US cities haven’t looked at in a serious matter. People can’t say “the way San Francisco, New York, Berlin and Oslo are good” but brush aside examples given from Seoul or Tokyo. Besides, if considering LA County’s large 10 million+ population, the great likelihood of its growth to a high density living, limited land space, and higher gas prices than the rest of the nation, LA County more resembles places like London, Seoul and Tokyo over places like San Francisco, New York, Berlin and Oslo. I really wish that this metro became profitable. Not necessarily through fare box collection, although I do think fares should be at 2.50, but through other means such as collection on property rent, parking and even business i.e. a convenience store. This probably wont happen but It would be nice to see a profitable public entity actually generate a profit! Its funny how the moment this begins to happen there is, very quickly, a move to try and privatize. I think this is a great idea… I hope this brings great innovation to our system no matter where these people come from. If you do long trips, like going from Santa Monica to Azusa, fares at $2.50 is still a great deal. But $2.50 for a large number of riders, those that do short trips, will stop riding Metro. For example, you can’t expect people to pay $2.50 each way just to go to the neighborhood supermarket. Travel distance needs to be accounted for. You can raise the fares to $2.50 or more but that should be for longer trips. Conversely, shorter trips should start off at around $0.50. Technology allows us to do this today, why isn’t it being done? Why not? If it makes money on it’s own, why should taxpayers keep subsidizing it? It’s like saying you’re Bill Gates making profit, but he still receives welfare, and because Bill Gates receives welfare, the homeless family who desperately needs welfare isn’t getting theirs. If Metro can become profitable on its own, then scrap funding from it. If it can survive without taxpayer support, then there are far better uses for our tax dollars, like education or public works projects like fixing roads and bridges. As long as the new “office” is open to entertaining and possibly implementing ‘forward thinking’ ideas, the idea sounds great. Although, if we keep hearing the same old argument (use bicycle advocates for a ‘bikecar’ on each train) — “…that people who bring their bicycles aboard should be happy that they are even allowed to..” — then this new “office” is a waste of time and resources. Lets start thinking toward the future rather than looking at the past. Bear in mind what you think what you want for your future is not the same as others. 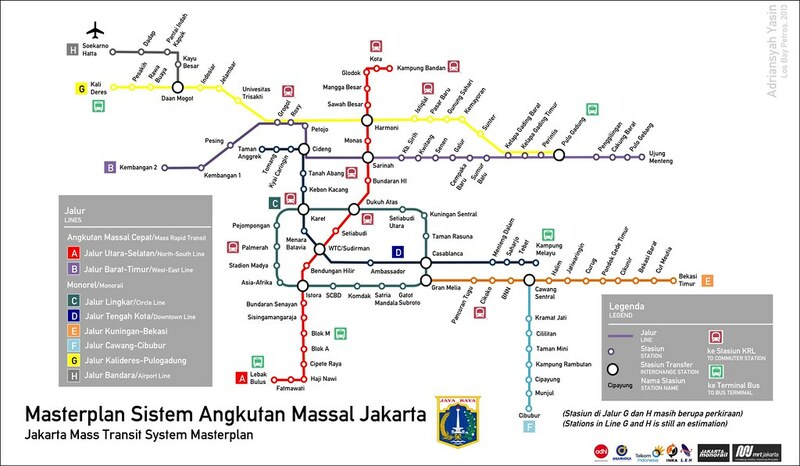 Some may view European style social-democratic approaches to mass transit, others may view Asian style libertarian, free-market approaches to mass transit. And when people say that they are open-minded, too often the case that it really means “we’re open to new ideas….so long as those ideas agree with mine” attitude that is prevalent to many of the so-called “tolerant liberal” types we see today. Using the bicycle example, the social-democratic approach is that they must add in an extra train dedicated for bike transit riders. The libertarian, free-market capitalism approach would be to rather, keep the way it is today because adding an extra train set just for bicyclists does not make economic sense, it takes up valuable load space that can be better utilized to fit in more passengers, and rather, Metro should look into ways of making profit on their own by providing rental bikes at all stations and working together with private-public partnerships with authorized bike rental companies. I would love to be one of those persons from around the world that travels around and looks at others transportation inventions and ideas . Then deem whether the idea or invention has merit. Can I get paid over 200,000, plus expenses. Why should taxpayers want to pay one person $200,000 plus expenses to do all that when the more likelihood is that in a county of 10 million and as ethnically diverse as LA, it’s far more cheaper to find random people from all over the world right here who can provide input on how transit runs in their home country? Rather than paying you $200,000 plus expenses, the cheaper solution would be to pluck random people off the streets of LA, give them a roundtrip ticket back to their home country plus $500 in free spend cash in their home country, (likelihood that they’re much cheaper candidates because they can save on travel expenses by just staying and eating at their relatives’ home) on the condition that they report back in full detail of riding their home’s transit system, with GoPro videos and such. Metro officials can just take a Red Line ride to Wilshire/Western and ask any Korean-American there to provide input on how transit works in Seoul or Busan. Metro officials can take a trip one station away to Little Tokyo or to Sawtelle Japantown when the Expo Line Phase II opens to ask Japanese-Americans on how transit runs in Tokyo, Nagoya, or Osaka. Metro officials can go one station away to Chinatown or to Atlantic (Monterey Park) or Arcadia when Gold Line east extension opens and ask around Chinese-Americans on how transit runs in Beijing, Shanghai, Taipei, Hong Kong, and Singapore. Average roundtrip economy airfare out of LAX to Asia, approx $1,000-$2,000 per person (and that’s at the more expensive airfare rates), plus $500 free spend cash each, multiply that by 10 random Asian Americans living in LA, that’s only $25,000 total. There, I just saved Metro 80% of what you’re asking. “Metro officials can just take …. 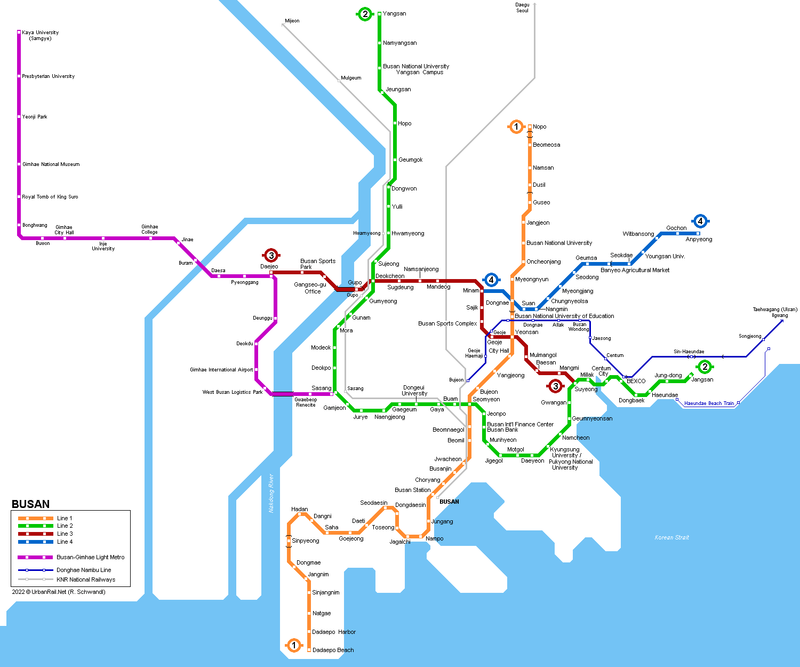 ask any Korean-American … how transit works in Seoul or Busan. …. ask Japanese-Americans on how transit runs in Tokyo, Nagoya, or Osaka. Should they go the Watts station on the Blue Line to ask African-Americans how transit works in Durban, Cairo, and Nirobi? Maybe they go and ask the any Jewish-American in Fairfax how it transit works in Tel Aviv. 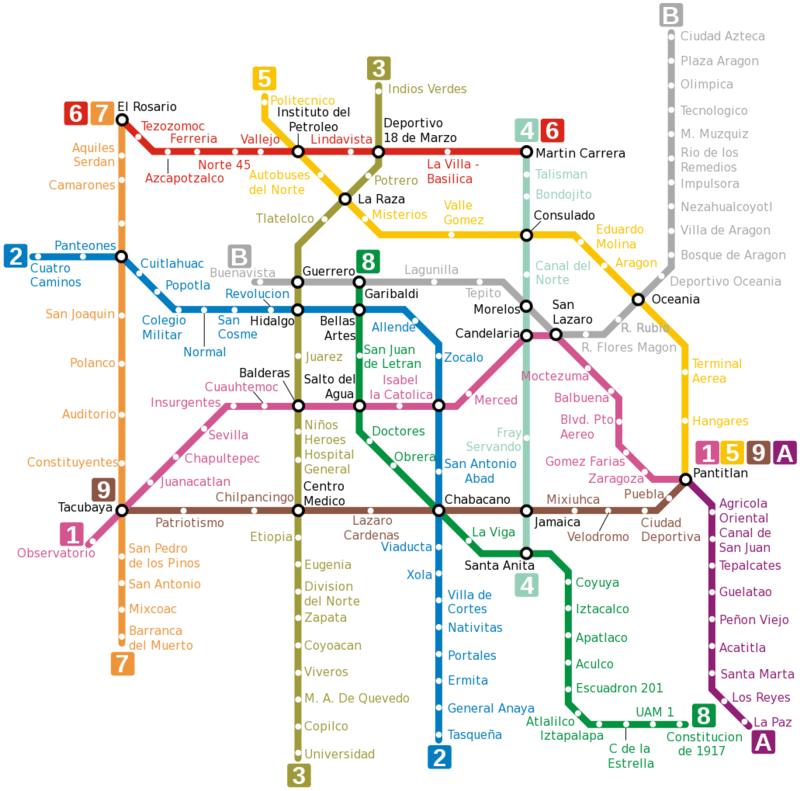 Can they go to Highland Park or Mariachi Plaza to ask any Hispanic-American how transit works in Montery, Guadalajara, and Mexico DF? CEO Phil Washington is the best that has come along to MTA in years. He is understanding and has some great ideas. I am glad he is now with us in Los Angeles. Then why doesn’t Metro utilize these sister city relationships for cultural exchanges regarding mass transit? Send some of the best Metro employees to these cities to learn the ropes, from everything like how they name their stations, their fare system, how they keep the system clean despite selling food, to the nitty gritty like what kind of material they use for seats and handrails. And in exchange, bring some of the best transit officers from these cities to teach Metro what they can do to improve our system. You have a sister cities, use it! They’re just doing this to satisfy everyone that Metro is doing something extraordinary and saying they’re “open to new ideas from all over the world” when they’re just going to continue to do the same thing over and over again. Actions speak louder than words. Mayor Garcetti can fix this easily by replacing one of his two appointees Bonin or Krekorian, with recently elected LA city council member David Ryu. Bring in Councilman Ryu into the board, then maybe, just maybe, Metro can start to do stuff like Korea does. I’d settle for making the Metro billboards useful and actually sell something. “Eat Shop Play”??? How about promoting the upcoming Expo and Crenshaw lines! They’re a waste of money and space.